There are three works that are at the source of Western culture: the Iliad, the Odyssey, and the Aeneid. 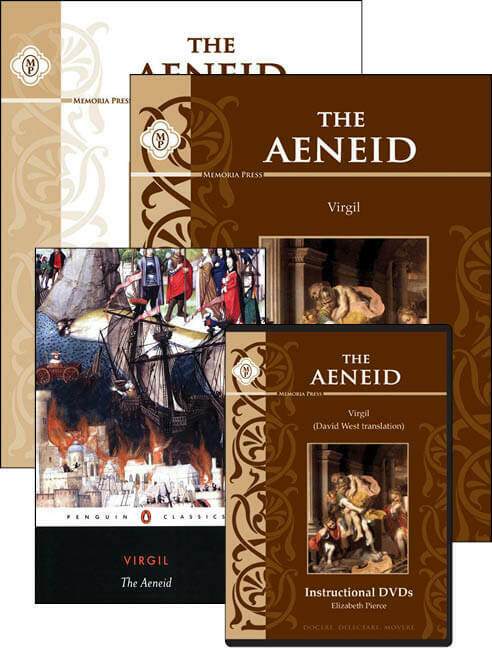 After you have completed your study of Homer’s two works, Virgil's epic story of the founding of Rome, the Aeneid, is your next logical Great Book to study. There are three works that are at the source of Western culture: the Iliad, the Odyssey, and the Aeneid. 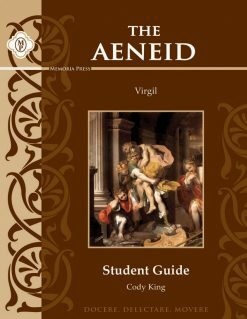 After you have completed your study of Homer’s two works, Virgil’s epic story of the founding of Rome, the Aeneid, is your next logical Great Book to study. 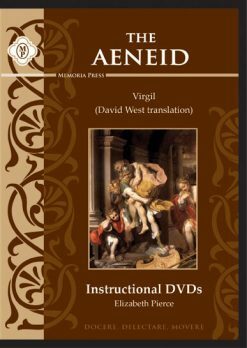 You can also purchase The Aeneid Set with Online Instructional Videos (Streaming) instead of the set with DVDs. 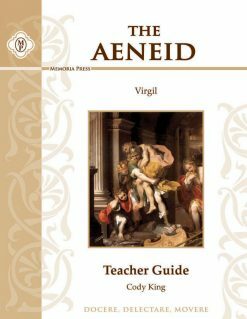 Let us help you successfully read Virgil as you continue your quest to master the classics. The Student Guide includes Places & Characters to Know, Comprehension Questions, important Quotations, and Discussion Questions. The Teacher Guide provides answers to the Comprehension and Discussion Questions, Chapter Summaries, Drill Exercises, and Quizzes and Tests. 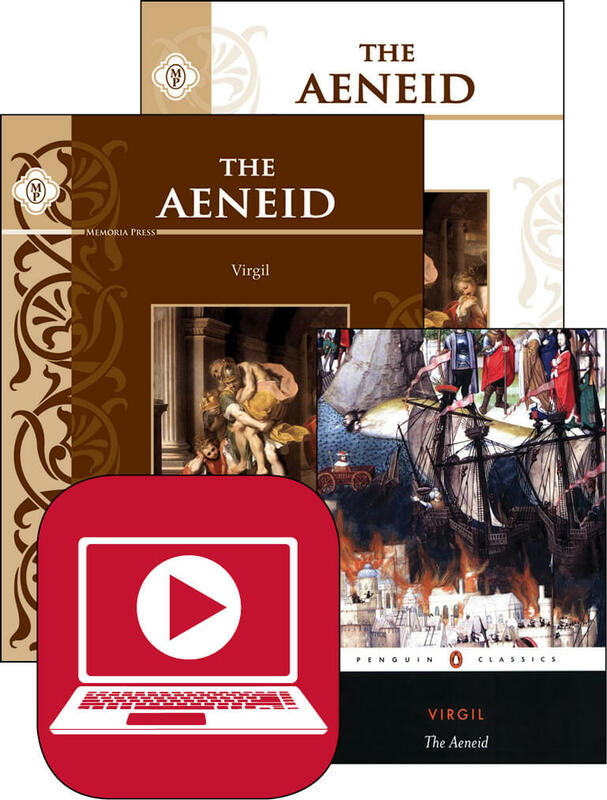 And now your students can get the background they need to understand the Aeneid with our instructional DVDs, featuring Elizabeth Pierce, one of Highlands Latin School’s master teachers. Mrs. Pierce’s compelling lectures will give your students a better understanding of the background and culture of the time period, as well as the themes inherent in this great epic. After reading Homer and Virgil, your students will have completed their first big step on the road to being classically educated! This is a great preparation for Latin AP Virgil as well. 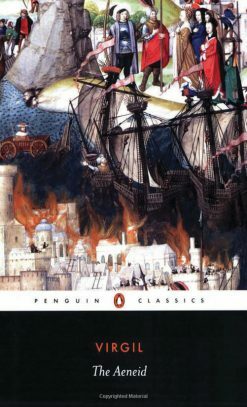 Note: Our study guides are made to be used with the David West translation of the Aeneid.